Isn't that an oxymoron? Usually when I think of tie dye I picture the hot sandy beach and tie dying t-shirts at the Salty Dog. It's always so much fun to see how they turn out and they are always so unique. This summer we are not heading to Hilton Head but I thought I still needed to find a new tie dye shirt. On my hunt, I knew it needed to be unique. While shopping over the weekend in a local boutique, Boho72, I stumbled upon this little gem. The silk underlay and the cut of the tank gave it some extra flair. You just might see me July 4th rockin' this with some cut-offs and red accessories. 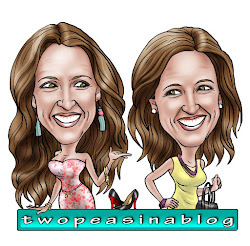 Funny story about our recent stops at Boho 72 Boutique. Every time we go in there, we seem to make an appearance. It's a small quaint boutique so coming in with 3 kids always creates a scene. This past time, the kids found me an adorable pillow with "Wine Time" on it. (It really is perfect for me!) Somehow it turned into pillow toss amongst the kiddos. Luckily nothing got damaged. The previous trip to Boho we weren't that lucky. Amongst the busyness that comes with 3 kids and "fighting" to share a chair while I was shopping, a mannequin got knocked over which in turn knocked over a jewelry display. Needless to say, shopping with kids is always an adventure!! There is something about shopping. The kids can be perfectly well-mannered and then you walk into a small quiet boutique and they get a burst of energy! For those who read this post last Wednesday, you know that our oldest is away at camp for the week. It's been easier than I expected. Don't get me wrong, I miss her terribly, but busy days with the other two have kept my mind from wondering how she is doing. Seeing videos uploaded from the camp have helped to ease my worry as well. I can't wait to give her a huge hug in a couple days and hear all about her adventures! I have a very similar tie-dye print top in silk and its amazing how many different colors it goes well with! love your dressed up version here, but I am lusting at your gorgeous RM bag!! Pretty look! 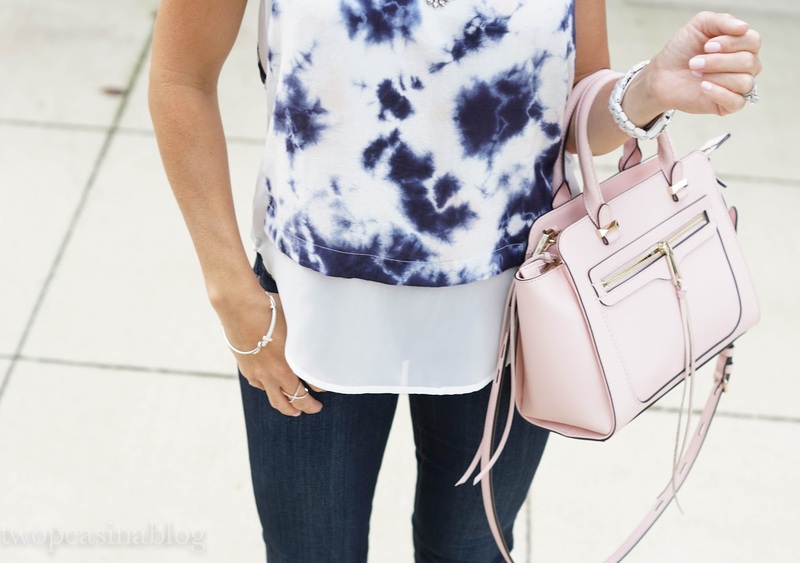 I love that tie-dye top and how you styled it so elegantly! Cute top! I love that sheer underlay. Cute purse too! That's such a cute top! Love how you styled it! Beautiful outfit! Your top looks so cool! 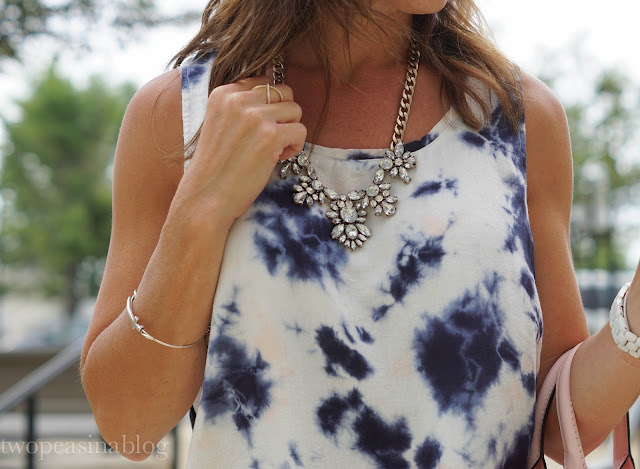 Very cute tie dye top! and i love the purse so cute. Cute outfit...thanks for sharing it with us on the Thursday Blog Hop!